Home / Technology / What is 5G ? 5G is coming to a cell tower near you faster than you might think: with speeds that could eventually hit hundreds of times those of 4G, it promises to transform the way we communicate with each other and with our devices once again.If you’re wondering what exactly 5G is, when you can get it or what the benefits will be, wonder no longer – we’ve compiled everything we know so far about the technology so you can impress your friends with your 5G-related knowledge. We can’t give you any exact statistics about 5G yet, because the standard has yet to be defined: researchers and authorities are hoping to have a 5G specification in place in the next couple of years. Radio communications experts from the 193 member countries of the United Nations will be setting down the technical requirements in 2016.5G is, rather obviously, the successor to 4G: if you thought the 4G speeds you can get in certain parts of the country were fast, just wait until you get 5G on your phone. As we’ve said, there’s no exact specification yet, but broadly speaking 5G has the potential to be hundreds of times faster than current speeds.Not only will the speeds be greater, so will the bandwidth (the amount of devices and data that can be handled at once): that means the benefits will go way beyond smartphones to cover everything in the Internet of Things. Your car, for example, will eventually be able to offer high-speed Wi-Fi wherever you are. 5G is technically known as IMT-2020 (3G is IMT-2000 and 4G is IMT-Advanced) – that stands for International Mobile Telecommunications (in the year) 2020. Between now and then, there’s a lot to sort out. 5G is another upgrade to the cellular data networks we’re now so familiar with: smartphones (or other devices) communicate with cell towers via radio waves that float invisibly through the air. As far as data goes, information is digitised into 1s and 0s before being compressed and transmitted over different frequency bands.Improving the speed and strength of these connections is a case of improving efficiency and bandwidth through multiple technological innovations. 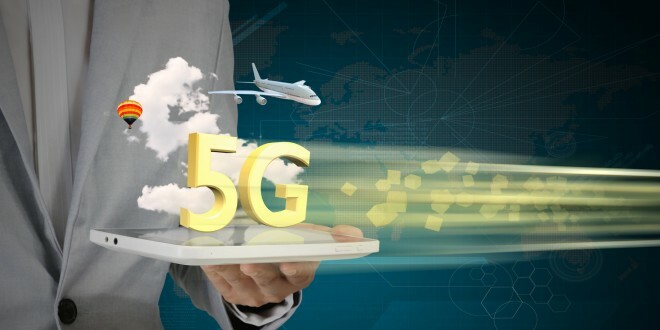 Some of the draft requirements set down for 5G include 1-100Gbps connection speeds, sub-1 millisecond latency, 1,000 times more bandwidth, 10-100 times more connected devices, 99.99 percent availability, 100 percent coverage, 90 percent reduction in network energy usage and support for up to 10 years of battery life for lower-power machines (like a home sensor).That’s quite a tall order but if the technical challenges of 5G can be met then the impact could be huge. Not only are governments trying to release more frequencies for public network use, they’re also trying to enhance the technology: 4G improved on 3G, for example, by using new techniques to squeeze more data into the same space. As the IMT-2020 name suggests, by 2020 hopefully. As 4G has shown, however, getting large parts of the country covered takes some time, so it may be a while later that 5G signals start appearing in your neck of the woods. Major cities will once again be the first in line for the technology. Organisations and manufacturers are hoping to be able to put the next-gen network through its paces during the 2018 Winter Olympics in South Korea. As with earlier upgrades, the first 5G networks will be on a very small scale and will be used to test the technology in real-world conditions – if the athletes and visitors to the Games can get connected, then the roll-out can continue. One potential roadblock is getting standards in place that all the hardware makers and individual nations can agree on – 3G and 4G are something of a mishmash of different standards and approaches right now, and if the same were to happen with 5G then that’s likely to push the launch date back a little bit. When it does arrive, it should herald the start of the true superfast smartphone age – any kind of download or streaming task will start instantly and buffering will be a bad memory… as long as you’re in a 5G-enabled area, of course. Higher frequencies (and faster speeds) mean shorter distances – that in turn means antenna technology is going to have to be upgraded, and we’re probably going to need more antennas too. We might see transmitters built into base stations and street furniture (like lampposts and road signs).As exciting as 5G is, the mobile operators in charge of rolling it out are still governed by economics: the more users and the more demand in a particular area, the more likely it is that 5G speeds are going to arrive swiftly. Some of the innovations required by 5G we mentioned earlier won’t be cheap to implement and again that could again mean certain areas have to wait a while to get upgraded.Ultimately however, one of the main aims of 5G is to provide blanket coverage that stays with you and doesn’t drop out as you move – in theory, that should mean very few dead spots, no matter where in the world you are. Satellite technology may be incorporated to help increase coverage. As we’ve said, these standards are still being debated – it’s possible that if certain aspects of 5G (such as the targets for coverage or latency) prove too tricky to implement, they’ll be dropped from the standard. The specification that does come into play in 2020 or thereabouts should be fairly robust, and we’re hopeful that the roll-out will be speedy and extensive.